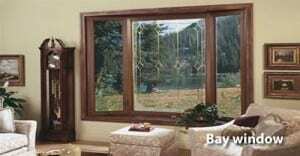 One of the most effective ways to save energy cost is by installing new replacement custom windows in your Bridgewater NJ home and finding a competent, professional window installer is critical before the winter months arrive. New replacement custom windows dramatically improve the appearance and appeal of your home both inside and outside, while providing greater comfort and security through the cold winter months. New replacement windows also help during warm summers as the dramatically keep precious air conditioned rooms cooler. If your old, drafty windows need replacing or if you simply want to improve the overall appearance of your home, then new replacement windows are the smart energy efficient option. James T. Markey Home Remodeling have been a replacement window contractor since 1981. As a professional replacement window contractors, we have the know how and experience to make your window replacement project go smoothly, on schedule, quickly with minimal interruption to your home or business. For a free, no obligation quotation please call 800.410.9002 or complete the form on this page to receive a fast quote.